Leading to Paris Saint-Germain Summer Tour in Singapore, Achilles and Corsa ask the Indonesian fans of the France Ligue 1 defending Champion to watch the match between Paris Saint-Germain versus Arsenal on 28 July in Singapore National Stadium. 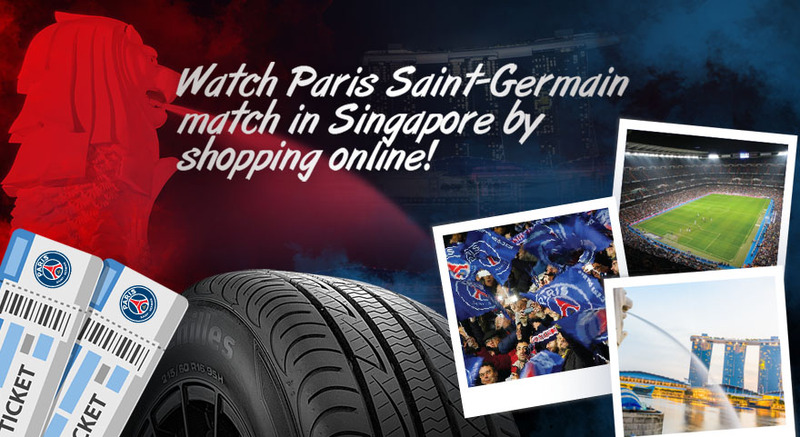 This opportunity to watch directly this French football club can be won by any Paris Saint-Germain fans in Indonesia by buying Achilles or Corsa tires through e-commerce between 1-19 July 2018. This is confirmed by Katharine Wianna, Marketing Manager of PT Multistrada Arah Sarana Tbk “Yes, it is true. Starting from 1 July we have run the campaign with the prize of watching the match between Paris Saint-Germain vs Arsenal on 28 July 2018 in Singapore” she said. This campaign held by Achilles-Corsa is a marketing program held by PT Multistrada Arah Sarana Tbk in collaboration with Bengkel BOS, subsidiary of PT MSA, involved in workshop business. The program mechanism is that consumer purchasing Achilles or Corsa tire through Lazada/Blibli/Shopee e-commerce site will receive one transaction code that can be used as access to win the prize only by posting creative photo and making as interesting as possible a caption along with hashtag as mandatory requirement for photo assessment. Katharine added, “So, when we make online purchase, we will be directed to Bengkel BOS or the closest Mitra BOS to receive free installation service. In this occasion, consumer can make a creative photo showing Achilles and Corsa products, then post interesting caption on why they should be the winner for watching the match in Singapore. It is as easy as that” She said. 1.Purchase Achilles car tires/Corsa motorbike tire in Bengkel BOS Official Store in Blibli.com, Lazada, and Shopee during 1-19 July 2018 to get transaction code as requirement for the competition. 3.Upload your creative photo and tag @psg @bengkelbos @achilles_radial @corsamc during tire installation in Bengkel BOS or Mitra BOS. 4.Make a caption with the theme why you should be the winner and make sure you write the order code in the caption. For example: #12345abcde.